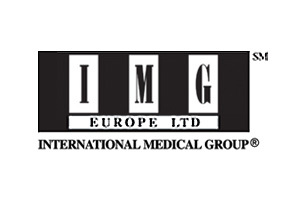 The International Medical Group, or IMG, is no new-comer to the worldwide insurance protection industry as it has more than a century in the business under its belt. Today IMG offers travel, medical, property, life and business coverage protection through several branches of the corporation to meet almost any policy need. For residents of, or persons planning travel/relocation to Malaysia, IMG is well equipped with several coverage plans to choose from. Both short and long-term protection of individual and families is available and thanks to IMG’s 24-hour emergency customer assistance helpline, quality medical care is always on hand. Operating under the mantra “Global Peace Of Mind” IMG offers its customers more options for worldwide coverage and presently provides for more than a million insured in over 170 international locations. What’s more, with more than 20 major languages spoken by its staff, IMG has the ability to care for almost anyone from anywhere around the world with their policy or when they need coverage assistance. If you are interested in more information about IMG's plans and policies, speak to an adviser. Malaysia Health Insurance is always available to help you make the best choice regarding the right coverage for you and your family's needs. Just click here to talk to a member of our expert team, or fill out an information request found at the top of this page and someone will contact you shortly.